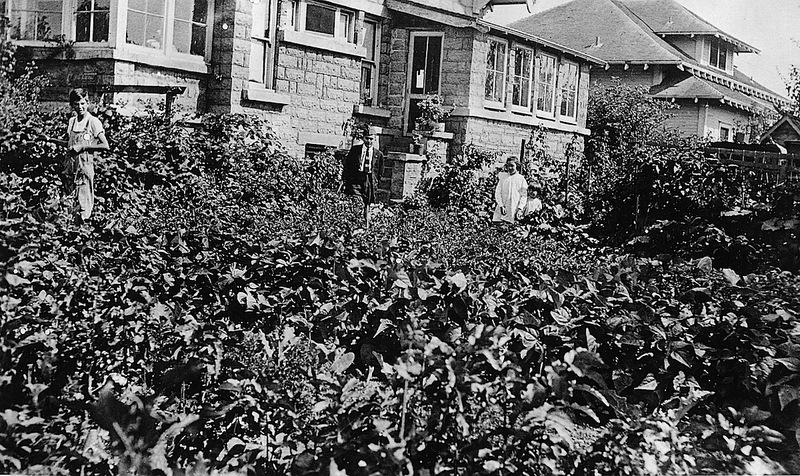 “The home garden of Clifford[,] Bernard[,] and Elizabeth Bridges who use the fertilizer from the Rabbitry for their gardens.” Photo taken in Oregon, ca. between 1915 and 1918, via 4-H Photograph Collection, OSU Special Collections & Archives Commons on flickr. The children are members of a local 4-H club, making a WWI victory garden. 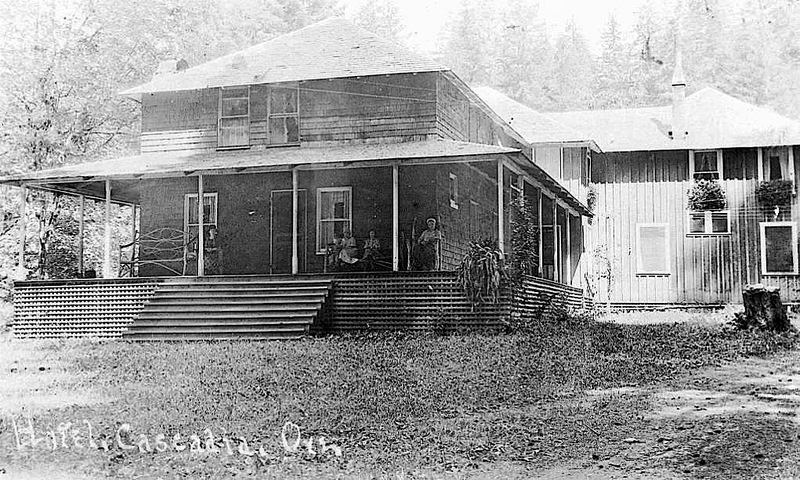 I think this is the Portland home (and children) of W.R. and Elizabeth Bridges. W.R. was a proofreader for The Oregonian. 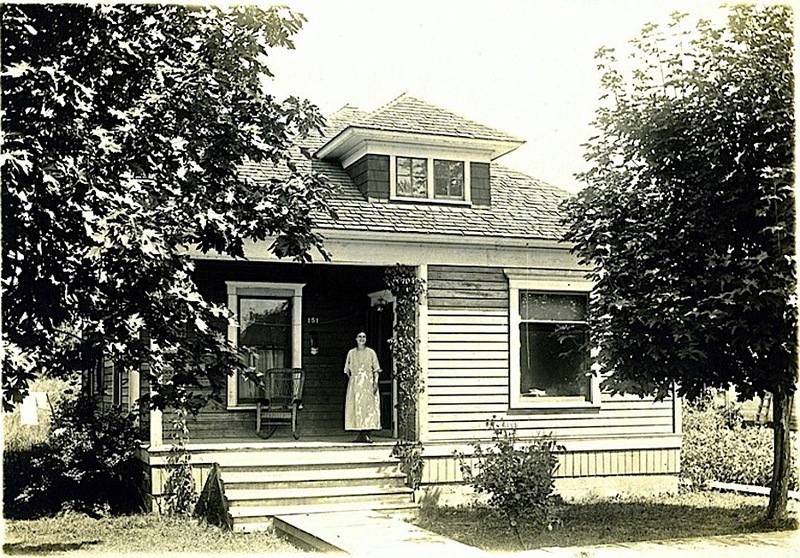 Click on “via” above for a larger view of the image. 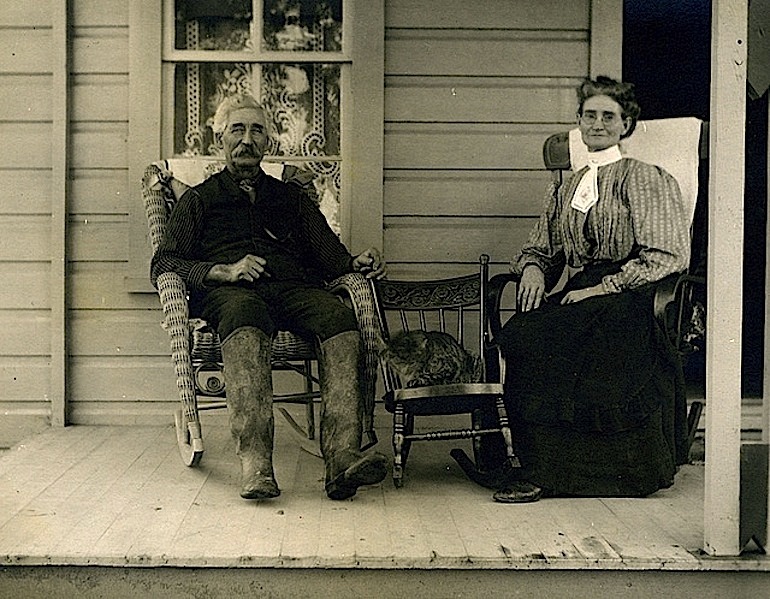 Everyone gets a rocking chair. . . .
Mr. and Mrs. D. T. Powell on their front porch, Harrisburg, Oregon, 1909, from the Gerald W. Williams Collection, via OSU (Oregon State University) Special Collections & Archives on flickr. 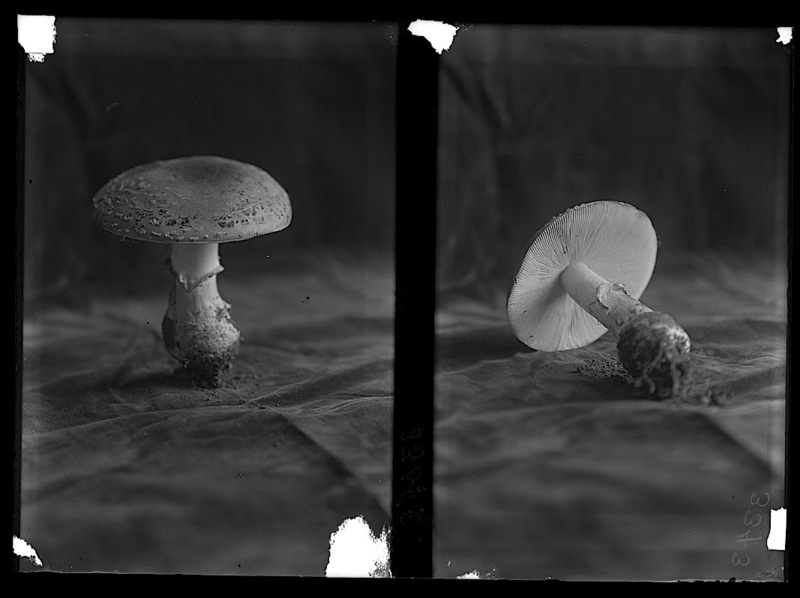 Today is National Cat Day in the U.S.
Two views of a mushroom (Amanita muscaria), Hillsboro, Oregon. 1910, from the Huron H. Smith botany expedition to Oregon, via The Field Museum Library Commons on flickr.